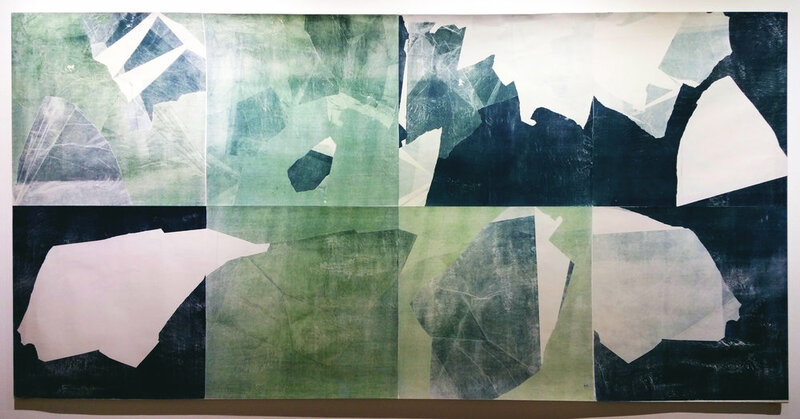 My practice converges at the intersection of language, systems, and the methodology of printmaking as a means for developing structures where chance and control can dance in a rhythmic duet. By tackling the technical obstruction of press size by folding large sheets of paper through a smaller press bed, I began an investigation into the symbiotic relationship of paper and matrix. In this series, the paper takes and integral role in the composition: The shifting planes of folded paper, both real and illusionary, form both the technical scaffolding of the work and the aesthetic and conceptual contemplation of trace, fold, profundity, edge and void.